Classic high quality non slip stainless steel dish. Heavy gauge stainless steel. Fused non-skid rubber rims. Dishwasher safe. Tough and strong dishes which do not absorb food odours and keep their shine. 28cm diameter. 4 litre capacity. 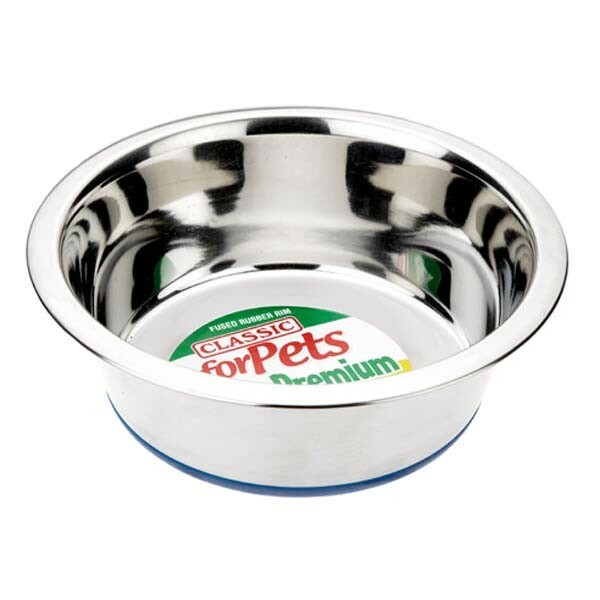 Large water bowl with nonslip. Excellent company great service, would use again.